Manufactured from medium density polyethylene this unit complies with the guidelines issued by the Environment Agencies (PPG26) and The Oil Storage Regulations of both England and Scotland, its robust, has broad range chemical compatibility and an injection moulded removable plastic mesh deck. 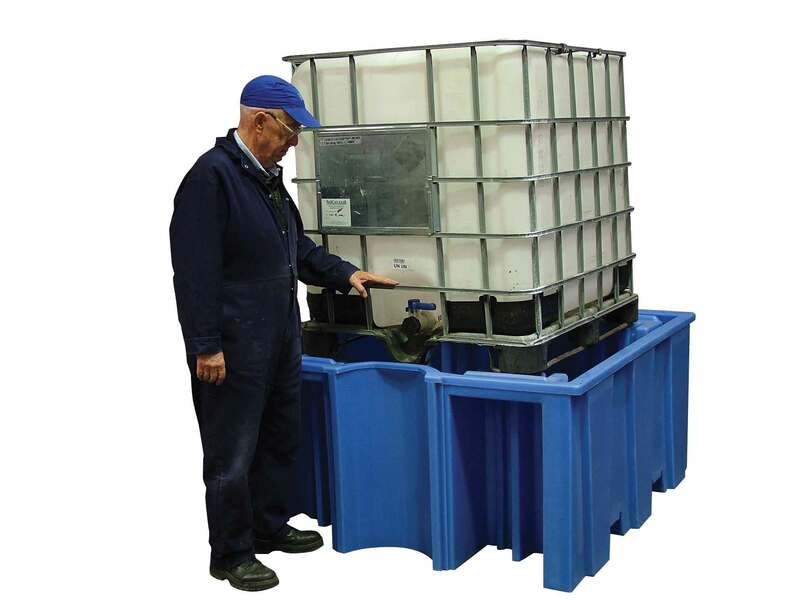 Manufactured from medium density polyethylene, we have designed this sump pallet to be as low to the ground as possible, yet still comply with the 25% sump capacity regulation. 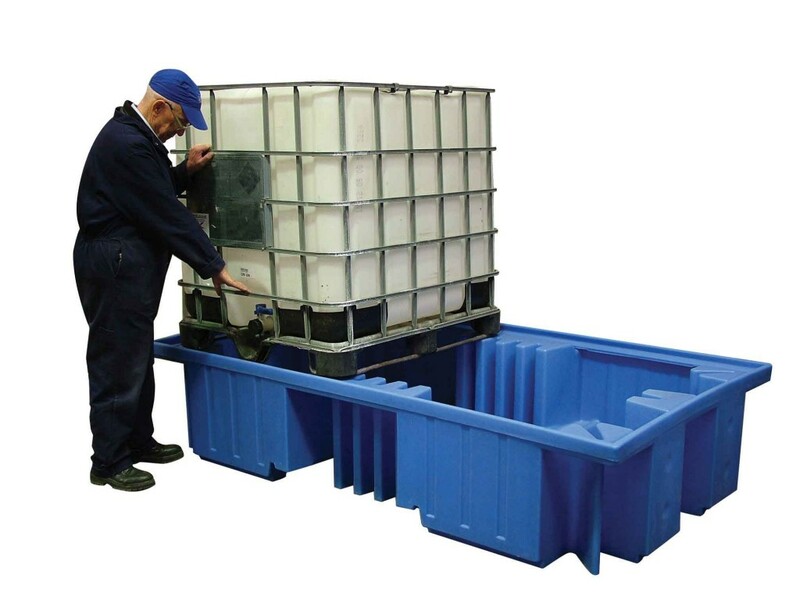 As with all our poly sump pallets it comes complete with an injection moulded removable plastic mesh deck. 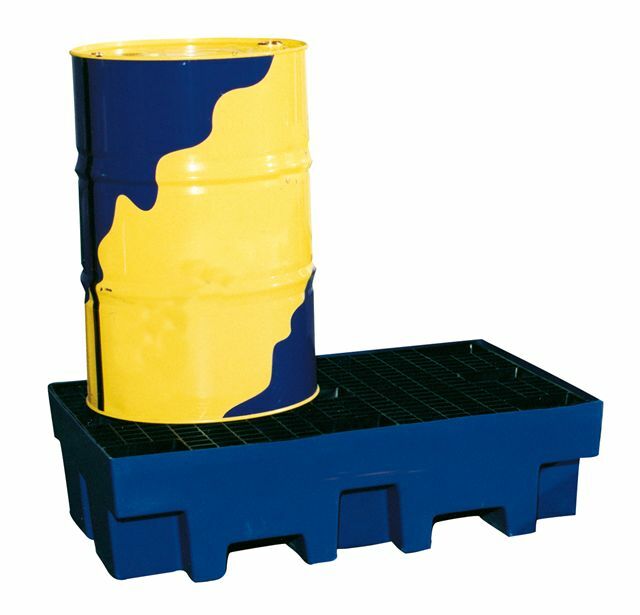 A large capacity sump pallet, moulded from medium density polyethylene suitable for use with most common footprint of 1000ltr intermediate bulk container (IBC), it complies with the 110% bund regulations, has broad range chemical compatibility and is rugged enough to withstand constant use. The removable deck provides easy access for cleaning. 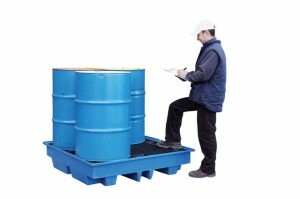 This robust unit allows you to store 2 x 1000ltr IBC’s side by side. The large capacity sump meets Environment Agency guideline PPG26 and the 110% regulations of The Oil Storage Regulations of both England and Scotland.